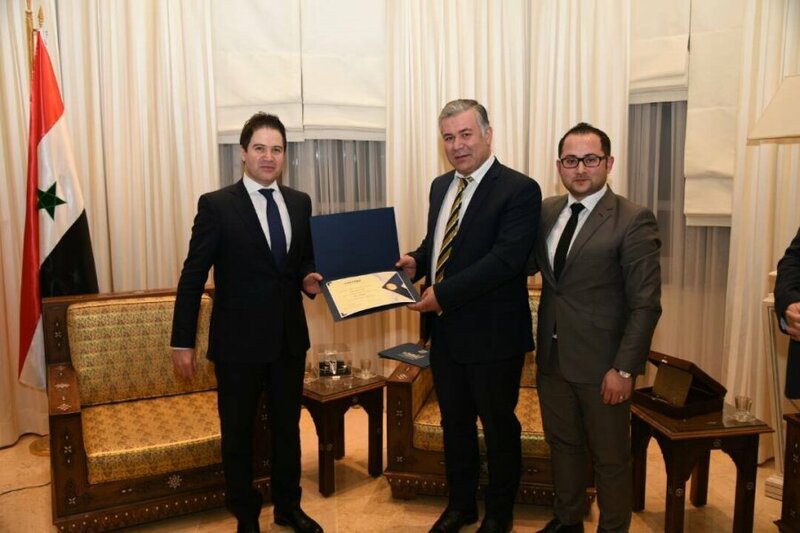 After the great success that was achieved by Syria’s partnership in the World Tourism Fair Fitur 2018 in Spain, the engineer, Mr. Bisher Yazigi, the Minister of Tourism, honored Mr. Milad Attieh, the Syrian Ambassador of Madrid, the company of Cham Wings Airlines, the President of the Federation of Tourism Chambers, Mr. Mohammad Khaddour and other travel and tourism companies such as Luxor, United Tourism and the delegation of the Ministry of Tourism, who participated in the exhibition and made big efforts to excel Syria’s participation in the most important international tourist exhibition. The Minister thanked Cham Wings Airlines for its active role in supporting the participation of the Ministry of Tourism in the exhibition and emphasized the importance of the role implemented by the Airline of supporting the air transport sector in Syria along with the distinctive services that Cham Wings offers to its passengers to and from Syria. Mr. Yazigi also pointed out the importance of participating in international exhibitions in light of rapid return and the recovery of the tourism sector. 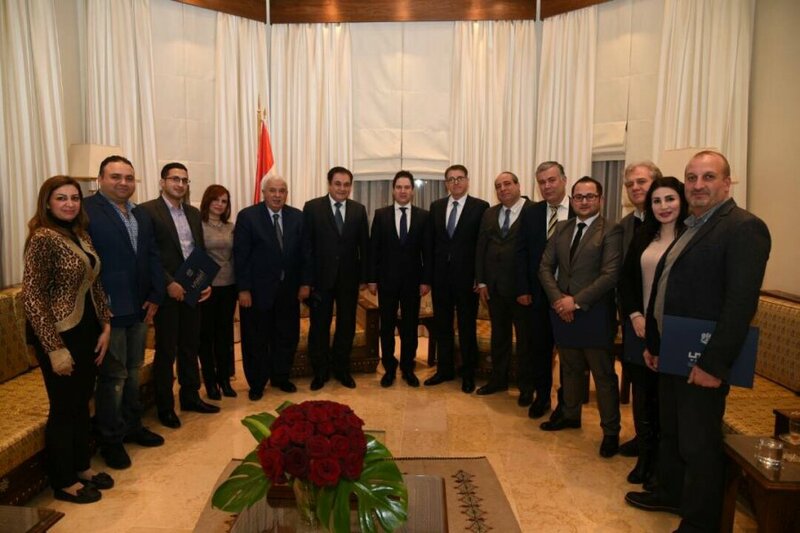 He also pointed out the need to activate the role of the federation of tourist chambers, tourist companies, providing necessary facilities, promoting tourism programs and services, noting the preparation of promotional plans and coordinating with the international media with a new outlook to show the beaming life in Syria including the rebooting of different fields and the opening of tourist markets.